Past several years ago, a beneficial innovation was carried out by the specialist and we today know it as a computer. Gone are the days when people were having only one option i.e., computer but today, if you want to buy the computer, you definitely have numerous options. Do you want Mac or PC? Laptop or Desktop? Or you also have another portable option I.e., small tablet. Several companies are still doing a lot of research for making new options for users. In older times, if you wanted to buy a computer, no research was required because you were having only one option but the availability of more number of options has made the task a bit difficult for the buyer. For example, you have to do a lot of homework if you want to have the best computer in your hand. 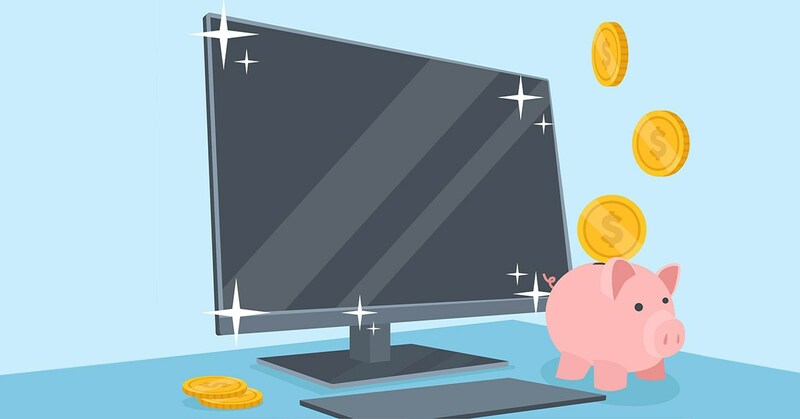 Apart from computers, a new parameter has been added to make the best choice I.e., whether you want to buy a new computer or you want to buy a used computer. In this article, you will get to know the benefits of buying the used computer. Let us know a lot more about it. Past few years ago, computers were not that expensive. Today, a number of options have made things difficult for the user. It means that if you want to buy a new computer, you have to pay more. So, it is better to choose and save money with a second-hand computer. Do you really think that the high price of computers is only because of the computer itself? If you have similar thoughts, you are highly mistaken! Due to several warranty plans and software, companies add more price to computers. So, this is why it is suggested to buy the second-hand computer and you can save some money on it. If you don’t know about computers in detail, things can be difficult for you. For example, if you don’t know more about the software used in computers, you will end up paying more hundreds. The companies add several software in the computers, which you hardly use, so what is the need of paying for such things, which you are not going to use in future. So, it is better to select the second-hand computer and save money on it. As the warranty is must and this is also the main reason why people go for new computers which have a warranty period of 1-2 years. Most of the people think that it is not possible to have the used computers with the warranty period. But it is just a myth, you can also have the used computer with a warranty period of 12 months. You can get the best-used computer if you will buy it from a trusted source. This is why; the used computers also require the same research and homework before making the final decision. So, get up and grab the best-used computer!